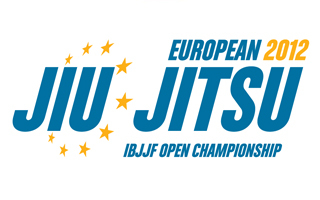 The tournament will take place on January 26th, 27th, 28th and 29th at Complexo Municipal Esportivo do Casal Vistoso, Lisbon, Portugal. Royce Gracie Seminar to benefit local boy’s soccer team. Royce Gracie, 3 time UFC champion and MMA Hall of Famer, announces seminar to benefit local boy’s non-profit soccer team. Saturday December 3rd and Sunday December 4th. 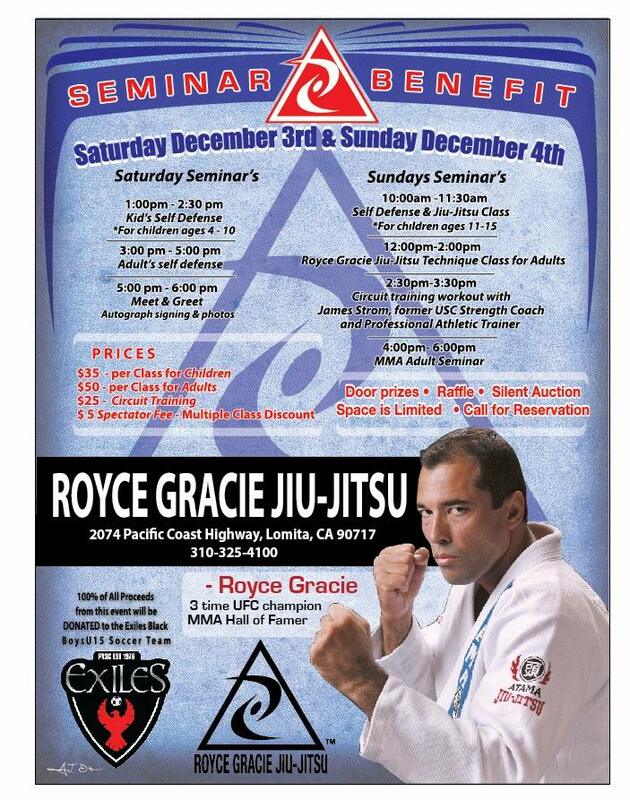 Royce will be at the Royce Gracie Jiu-Jitsu network in Lomita for two days of seminars taught by the legend himself. Saturday’s classes include kid’s self defense from 1:00pm-2:30pm, 3:00pm-5:00pm adult’s self defense and a meet & greet from 5:00pm-6:00pm to have autographs signed and photos taken. 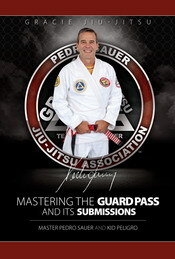 Sunday’s seminar includes a self defense/ jiu-jitsu class from 10:00 am-11:30 am for children ages 11-15. 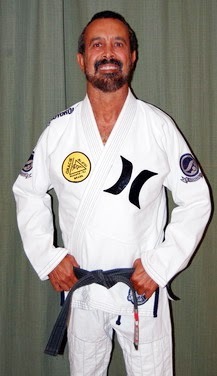 From 12:00pm-2:00pm Royce will teach a Royce Gracie Jiu-Jitsu technique class for adults. 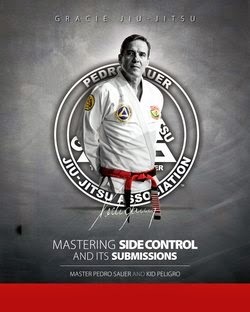 The day will end with a MMA adult seminar from 4:00pm-6:00pm. In addition to the RGJJ seminars, James Strom, former USC strength coach and professional athletic trainer will offer a one hour circuit training workout from 2:30pm-3:30pm on Sunday. There will be door prizes, raffles and a silent auction. Seminar prices are $25.00 for circuit training classs,$35.00 per class for children, $50.00 per class for adults. Spectators are welcome to observe any seminar for a $5.00 fee. Royce is donating 100% of all proceeds from this event to the Exiles Black boys U-15 soccer team. The Exiles Soccer Club is a non-profit youth athletic organization that was founded in 1976 in the South Bay. The club is committed to providing a safe and highly competitive soccer program for a diverse group of youth. All revenue generated from this event will help fund scholarships, uniforms and travel throughout the U.S. and abroad. Call the studio at 310-325-4100 to reserve your place at the seminar. Space is limited! The studio’s location is 2074 Pacific Coast Highway Lomita, Ca 90717.